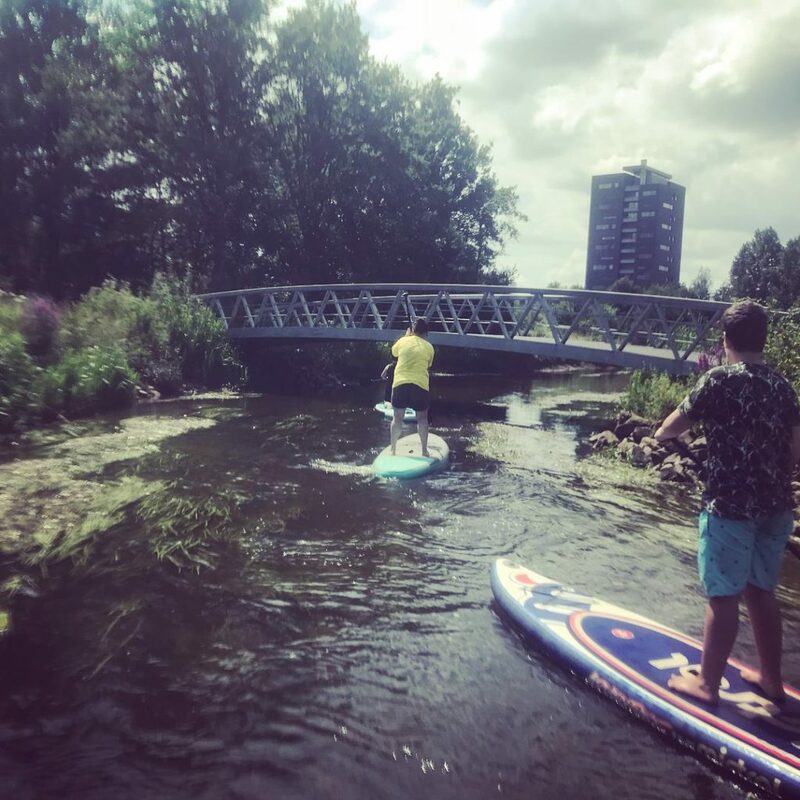 In cooperation with the Dutch Happiness Week, Parktheater, Fontys and High Tech Campus, Supcoach will introduce you to supping and let’s you discover Eindhoven’s happiness places from the water. A moment to relax and (re)connect with your inner self. And a cool, fun way to connect with other (new) people. Let’s share happiness! The Dutch Happiness Week is a initiative of Parktheater en Fontys. During this week, from 18-24 March, there will be several events in Eindhoven and Tilburg to create awareness about happiness. What makes you happy? And how can you feel/create (more) happiness? Let’s create happiness together! From HTC and Genneper Parken you will discover the Dommel. 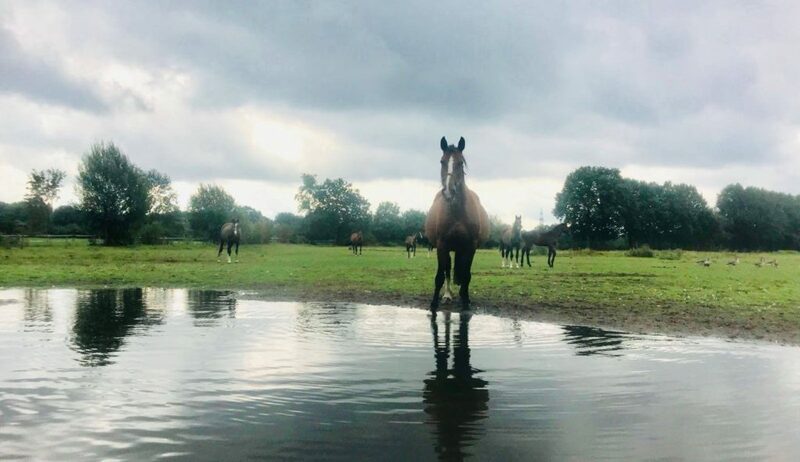 We can go towards the city or towards Valkenswaard. It’S UP to you! Date & time: see below. Possible at HTC, Genneper Parken or Collse / Opwettense Watermolen. 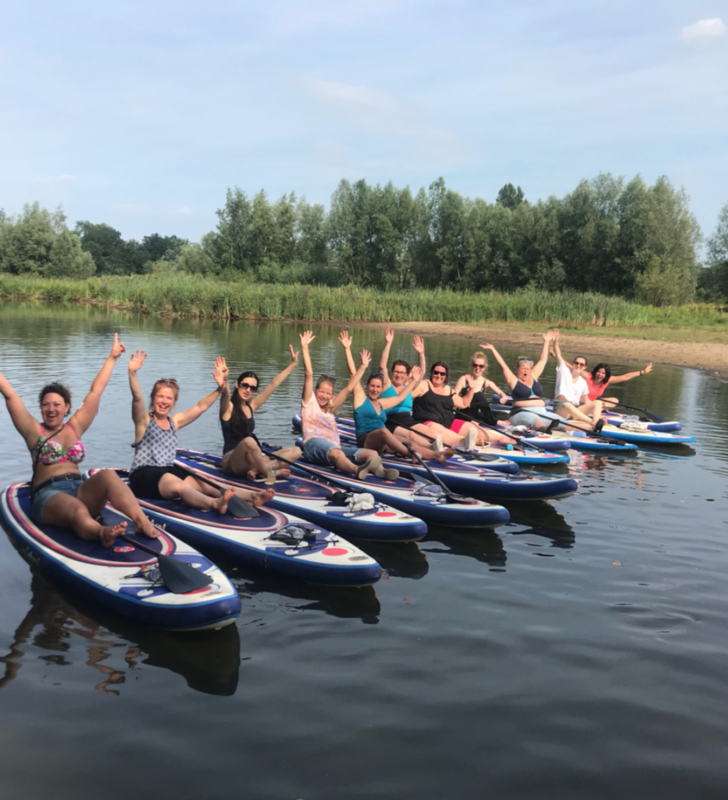 You can join the Happiness SUP by yourself, with colleagues or friends/family and get to know Eindhoven from a whole other perspective. I can guide a group of maximum 10 people at once. I will give instructions and show you the way on the water. Are you new in Eindhoven and don’t know anyone yet? It’s a nice way of getting to know people! So don’t hesitate and join! Also if you don’t have anyone to bring. 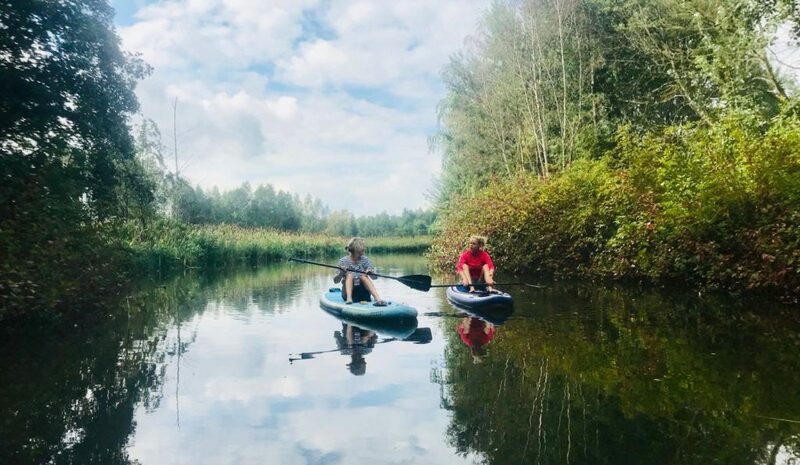 During the Dutch Happiness Week you can join for a special price: €15,- per person (instead of €35,-), starting with a group of 4 people. It’s also possible to join alone or with two people. In that case, the price is different, please contact me. 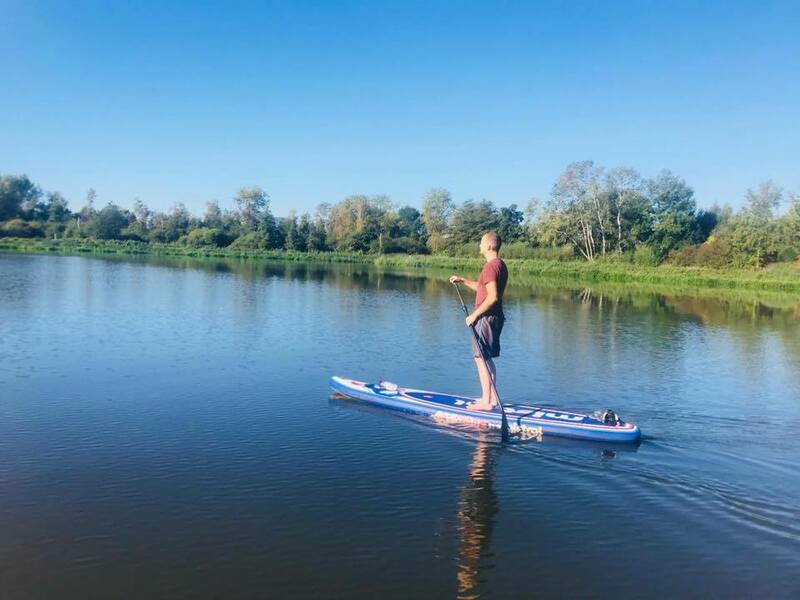 Location: where do you want to sup? Did you (and the people that you bring) sup before? Do you have your own SUP material or not? Physical or other conditions I need to know about? I will send you a confirmation by e-mail with further details, like what to wear and what to bring. Plus a link to the terms and conditions (in Dutch), which you agree with when you join me on the water. Do you want to invite people to join this event? Feel free to share this on Facebook, Instagram or any other social platform. Join the Facebook event and see who you might meet! You have to be able to swim. It’s possible you can fall in the water, but it doesn’t have to happen. Trust yourself! And otherwise me, I’m a certified SUP instructor and can rescue you out of the water. 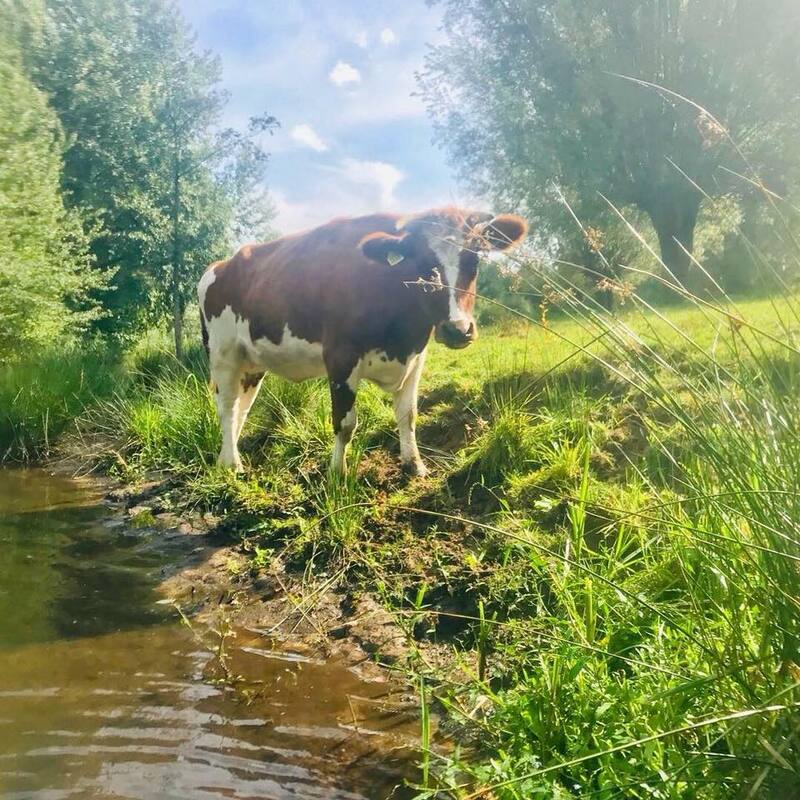 At some places in the Dommel you are able to stand on the bottom in the water, other places are a little deeper. You don’t necessarily have to stand on the supboard all the time. You can also sit or lay down. Chill & relax! It’s possible for small/light people to join together on one supboard, but it’s a little more challenging to stay stable. For instance this is possible for mother/father with a small kid. Children can only join with a supervisor/parent and have to be able to swim. Do you have any questions? Don’t hesitate to contact me via paula@supcoach.nl. Curious what you can do more during the Dutch Happiness Week? Check the website and see all the events that take place.